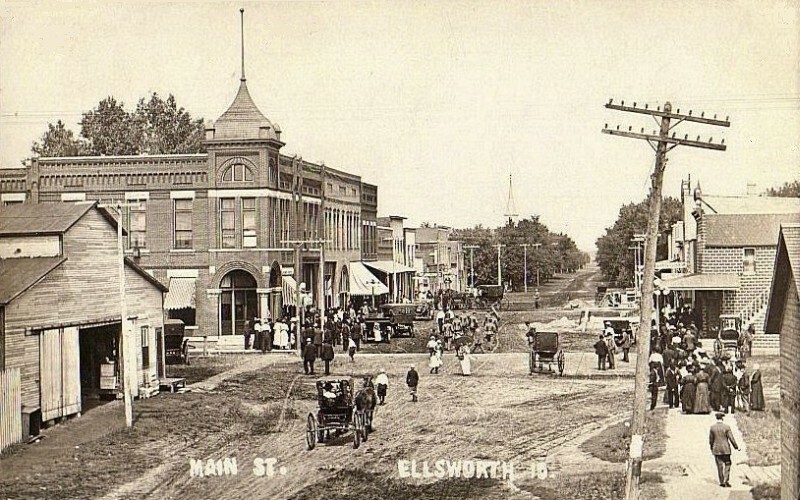 It was a hot summer night in 1898 that the State Bank of Ellsworth was robbed of $1,500. 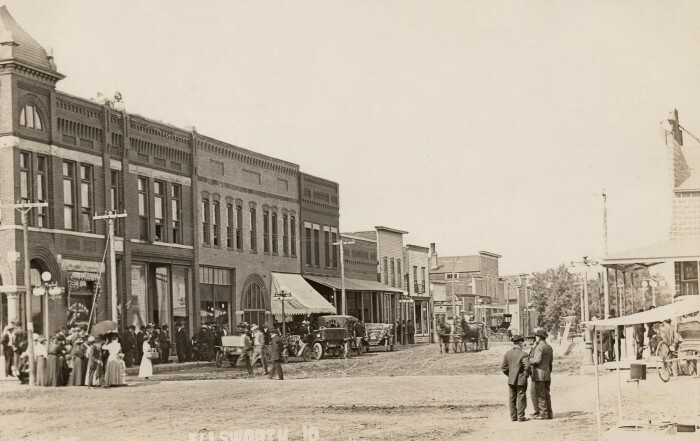 The two well-dressed men who robbed the bank had already eaten the evening meal with Mattie's family, the John Ringstad family 3/4 mile south of Ellsworth. After visiting with the family for a while, the men had rested in a nearby field until total darkness. After robbing the bank, they caught the eastbound midnight train to Gifford, Iowa. 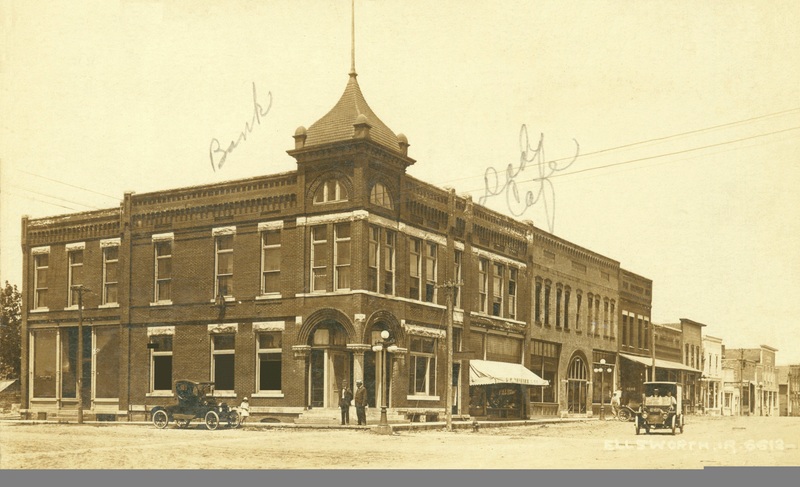 There they sought lodging at the hotel. 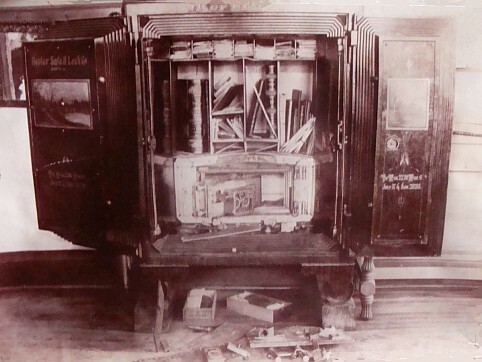 After the men had been apprehended, the $1,500 in a cigar box was found under the bed. 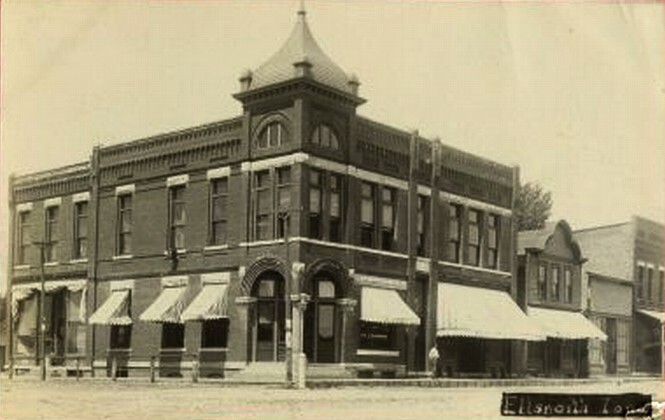 The Bank building was the largest structure in town. 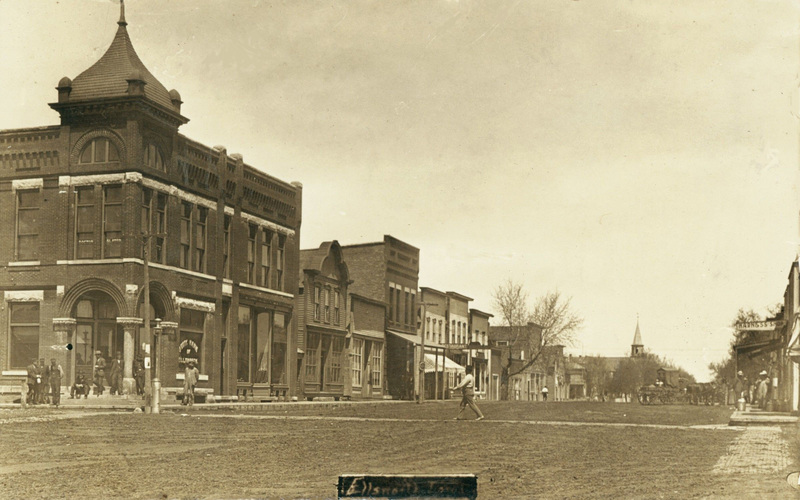 This is what the West side of Main Steet looked like in about 1913. 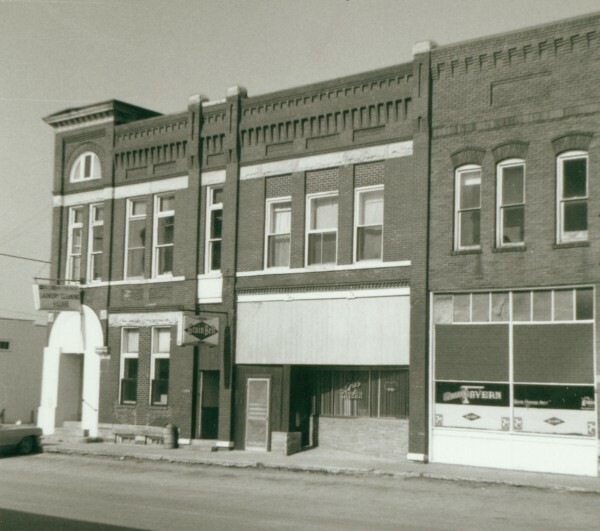 The building that had housed the bank is seen at left. This 1920 photo shows Main Street, headed by the Bank building. 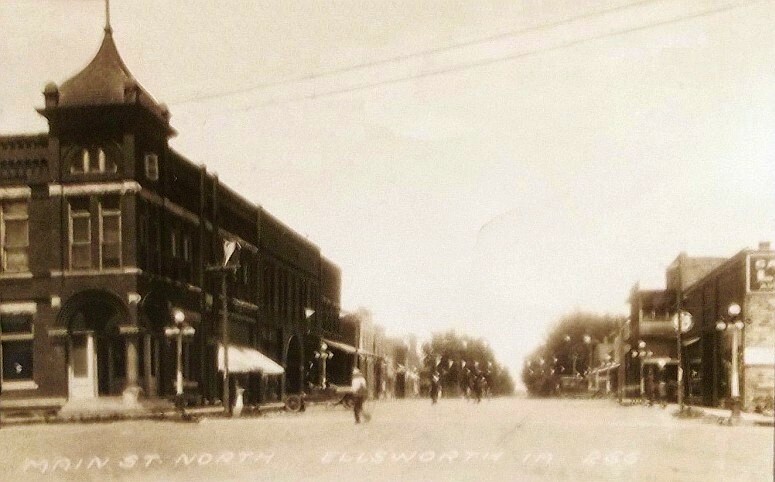 Ellsworth's Main Street looked busy in the mid-1920s with lots of power cables and some cars. 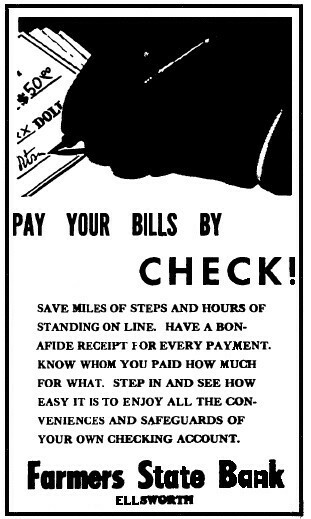 There was also a sign in the middle of the street that gave the advice Keep to the right. 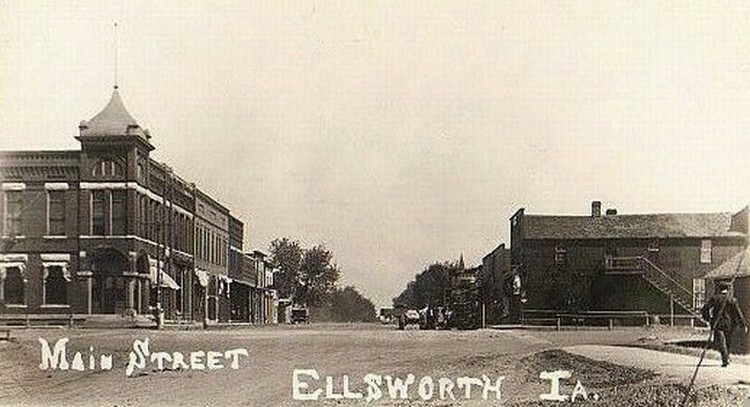 Ellsworth Main Street close to the old Bank Building was paved in 1950. 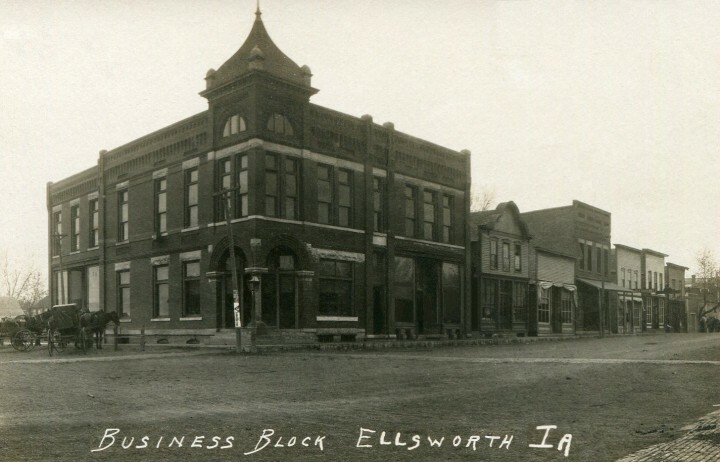 This 1955 advertisement for the Ellsworth Farmers State Bank ran in The Ellsworth News. In the mid 60s, the old Bank building, seen at the left, had a sign that said, Laundry Cleaning Villiage. 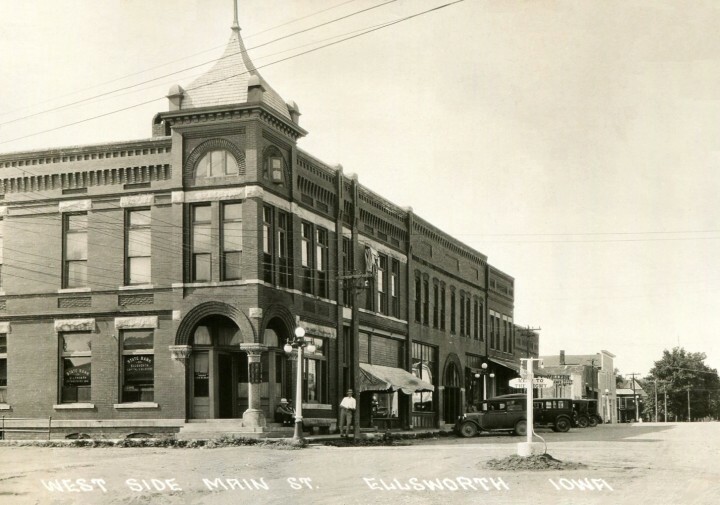 Next is Ed's Tavern located in two store-fronts. 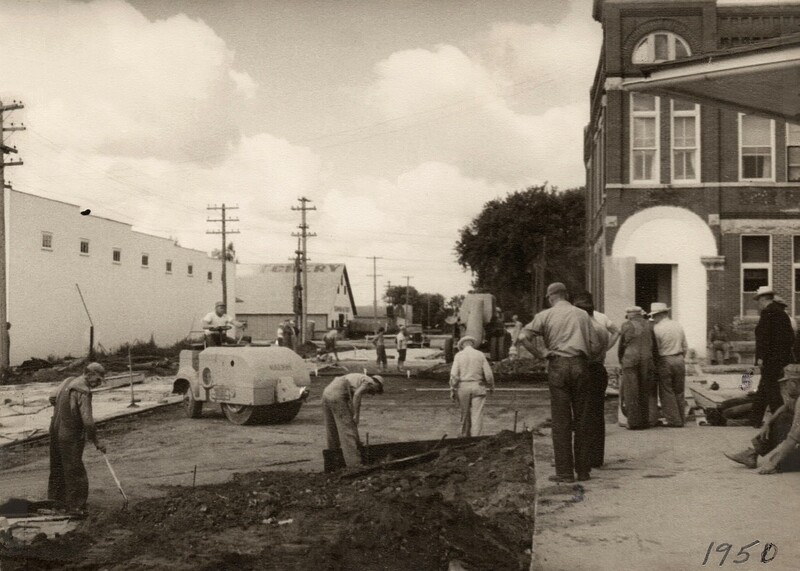 The signs says, Grain Belt Beer.